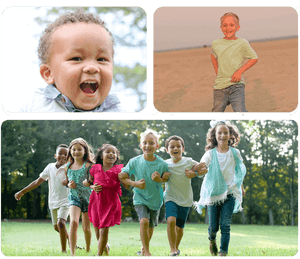 Belmont Pediatric Dentistry specializes in treating children from infancy through their teenage years and children with special health care needs. Welcome to Belmont Pediatric Dentistry! We are glad you have chosen to visit us and hope that you will make our practice a dental home for your family. We know that choosing health care providers for your children is an important decision, and it is a privilege for us to be a part of your health care team. Our goal is to provide your children with beautiful smiles, in a safe and inviting dental environment they will love to visit. We hope to provide a fun, educational, and positive experience for all of our patients. We also believe in a team approach to oral health, and you as parents are a vital part of the team. We encourage you to be an active participate in each visit, often by joining us in the treatment area so that we can listen to any questions and concerns about your child’s oral health. As we recommend hile giving you the necessary information to make an informed decision about any treatment we recommend. Please browse our site and if you have any questions, send us a message, give us a call, or just stop by our office. We look forward to meeting both you and your family soon! Pediatric dentists have two to three years of specialized training following dental school and limit their practice to treating children, starting at age one and following their oral health, growth, and development through their teenage years. Pediatric Dentists are also especially trained to provide care to patients with special needs. Our doctors are specially trained to ensure that early dental experiences help your child build confidence and knowledge, setting a great precedent for their future dental health. Very young children, preteens, teens, and patients with special needs all require different approaches in managing their acceptance of treatment, guiding their dental growth and development, and helping them avoid future dental problems. Pediatric Dentists are best qualified to meet these needs. You were fantastic. Made TJ feel at ease and I would highly recommend you to anyone!! My children love to come here! They get so excited about their special door and the iPad movies. They would come every month if they could! My son has special needs and a developmental delay. The staff was so supportive of him, explaining their every move. I really appreciated their care and positive attitude. I was in dental for twenty one years So I know what I wanted for my girls I love your office All of the staff are friendly n helpful My four year old is very fearful of all things n this office was awesome with her n understanding of her fear My two girls will be at this office as long as u guys are open I absolutely love it. The staff and doctor were amazing! My wife and I were incredibly impressed with with the entire experience and how well they treated our son. Thank you for everything. The staff is always great!!! When you have a child that’s 4 and LOVES going to the dentist, which we all know is not always the case, you as a parent know you’re taking them to the right place with the right people.Thank you ALL for always being so awesome when we come visit!! Dr. Cooke is a Pediatric Dentist who offers gentle dental care to infants, children, adolescents, and patients with special needs. Prior to completing his specialization in pediatric dentistry at Temple University Hospital in Philadelphia, PA, Dr. Cooke received his Bachelor of Arts in Music from Duke University, his Master of Science in Biology from East Carolina University and his Doctorate from the University of North Carolina at Chapel Hill School of Dentistry. Dr. Cooke’s devotion to caring for his community and those in need led him to participate in service and teaching opportunities both nationally and abroad. He served with various community organizations as a member of a team of dentists and health professionals that provided much needed treatment to those in the US with limited access to dental care. Dr. Cooke also served in global dental missions, traveling to Florianopolis, Brazil and Lilongwe, Malawi. Dr. Cooke is a native of Chattanooga, Tennessee. He is an avid Duke basketball fan, and he enjoys sports, music, cooking, and traveling with his beautiful wife Beatrice. Dr. Mvula found his passion for treating children by visiting a pediatric dentist while in college. 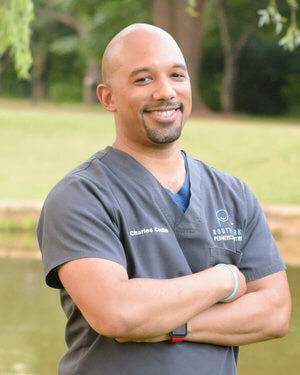 He earned his Bachelor of Science in Chemical Engineering from the North Carolina Agricultural and Technical State University in 2007 and received his Doctorate from the University of North Carolina at Chapel Hill School of Dentistry in 2011. In dental school, Dr. Mvula focused his training on providing dental treatment to children and patients with special needs within the community as well as abroad. This experience reaffirmed his desire to focus his career in pediatric dentistry. After graduating from dental school, he pursued his passion by completing two additional years of advanced training in Pediatric Dentistry at Bronx-Lebanon Hospital Center in New York. Dr. Mvula is a Board-Certified pediatric dentist and a diplomate of the American Board of Pediatric Dentistry. Dr. Mvula is originally from the Democratic Republic of Congo and moved to North Carolina 13 years ago. Dr. Mvula speaks French, Lingala and Sango. In his free time, he enjoys traveling and spending time with family and friends. Working with kids has always been a large passion for Dr. Rutledge. At a young age he began volunteering with a therapeutic horseback riding program in his hometown of Virginia Beach, VA where he served as a mentor for kids with special needs. He attended Clemson University where he received his Bachelor of Science in Psychology in 2010 and went on to earn his Doctorate at Virginia Commonwealth University in 2015. Following graduation, Dr. Rutledge moved to San Diego where he completed a two-year postdoctoral program in advanced education in pediatric dentistry through NYU Lutheran Medical Center in conjunction with Rady Children’s Hospital. Dr. Rutledge grew up in a very active family and sports have always been core outlets for him. In his free time Dr. Rutledge enjoys traveling, snowboarding, watersports, horseback riding, and playing basketball and soccer. Dr. Wong is happy to call Charlotte her home after practicing and residing in Northern Kentucky, Southern California and upstate New York. 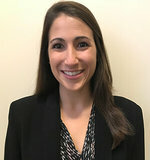 She received her DDS from the University of Michigan and then completed her pediatric residency at the University of Southern California and Children’s Hospital Los Angeles. 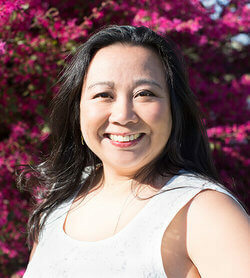 Dr. Wong is originally from Peru and, therefore, is fluent in Spanish. Throughout her education, she has made an effort to help those in underserved populations by treating children of migrant farmers in Michigan, volunteering for the Crowe Indian Reservation in Montana, and treating Hispanic children throughout various dental clinics in Los Angeles. On a more personal note, Dr. Wong enjoys spending time with her husband, son and fur children (Cheeto and Brownie). In her spare time she enjoys riding bikes, playing badminton, cooking, traveling and pilates. Dr. Lisa has always had a passion for working with kids, and looks forward each day to helping children with their dental needs. A native of Charlotte, Dr. Lisa is thrilled to be practicing dentistry in her hometown! She attended UNC Chapel hill for her undergraduate studies, and later received her Doctor of Dental Surgery degree from the University of Maryland. After receiving her doctorate, she then completed a pediatric dental residency at Cincinnati Children’s Hospital which is often ranked as one of the top children’s hospitals in the country. As a pediatric dentist, Dr. Lisa specializes in treating the dental needs of infants, children, adolescents, and patients with special healthcare needs. When not treating patients, Dr. Lisa enjoys hiking, sports, cooking, and spending time with her family and friends. Dr. Stephanie Hukill grew up in Charlotte, North Carolina and is excited to serve her hometown community. She attended Duke University where she graduated with a B.S. in Psychology with a focus on developmental psychology. 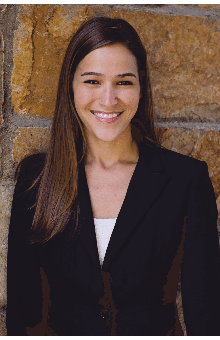 After graduating from Duke, Dr. Stephanie began her dental training at the University of Michigan in Ann Arbor where she received a Doctor of Dental Surgery degree. She then continued her specialty training in pediatrics at Cincinnati Children’s Hospital Medical Center. She is a proud alumni of Cincinnati Children’s which is ranked as one of the top pediatric hospitals in the nation! Dr. Stephanie is board certified and a Diplomate of the American Board of Pediatric Dentistry. She is a member of the American Academy of Pediatric Dentistry, the Southeastern Society of Pediatric Dentistry and the North Carolina Academy of Pediatric Dentistry. When she is not treating patients, Dr. Stephanie and her husband are busy chasing around their little boy, Luke. They love anything outdoors, traveling, and cheering on Michigan and Duke sports teams! Fun Fact: Dr. Stephanie and Dr. Lisa are sisters and it has always been their dream to someday practice together in their hometown! We truly enjoy working with and teaching children. Our passion and enthusiasm for teaching kids the skills necessary for excellent oral health is seen through the fun and energetic environment created for our patients. We hope to make every experience a positive one for our patients, and we hope that through positive reinforcement and motivation we can encourage patients and parents to invest in excellent oral health. Dr. Cangemi has long been interested in both dentistry and anesthesiology and feels incredibly lucky to be able to combine these tow interests into a rewarding career serving such special patients. 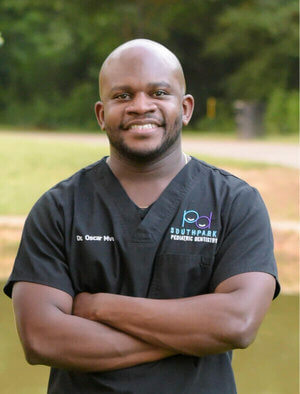 He attended dental school at the University of North Carolina where he was awarded the Grover C. Hunter Jr. Award for his exceptional performance in periodontics. After graduating, he completed his residency in Advanced Education in General Dentistry, also at UNC. Dr. Cangemi opened up his own practice, but wanted to learn more about anesthesiology. He decided to sell his practice and entered into an anesthesiology residency and a Masters Program in anesthesiology at Ohio State University. This program was comprehensive and hospital based, giving him the experience he needed to become a true expert in the field. He obtained his Certificate of Residency in Anesthesiology and a Master of Anesthesiology from Ohio State University. Dr. Cangemi is a Diplomate of the National Dental Board of Anesthesiology, an American Dental Society of Anesthesiology Fellow, a member of the Anesthesia Advisory Committee and an Anesthesia Examiner for the North Carolina Board of Dental Examiners, an author of publications in dental and anesthesiology journals, and an anesthesia lecturer. He is certified in Pediatric Advanced Life Support, Advanced Cardiac Life Support, and Basic Life Support. The American Academy of Pediatric Dentistry recommends that children establish a dental home once the first tooth erupts or by their first birthday, whichever comes first. Give us a call or stop by to schedule your first visit today. You can also send us a message below and we’ll give you a call to set up your appointment. Be sure to include your name, your child’s name, and the best way we can reach you. We look forward to meeting soon! We want to know all about you! We encourage you to read and complete our new patient registration packet prior to your first visit. This will allow us plenty of time to learn more about you and your family, and be prepared for your child’s first visit with us! During your first visit we will review good oral health practices and make sure your child knows how to keep his or her teeth in tip-top shape! 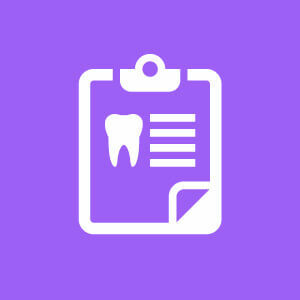 We will provide a thorough dental cleaning followed by an exam. We invite and encourage you to accompany your child into the treatment area during the initial exam. This will give you the opportunity to see our staff in action and allow our doctors to discuss dental findings and treatment recommendations directly with you. And most importantly, we look forward to answering any questions or concerns you may have about your child’s oral health! Sometimes, despite our best efforts, cavities happen or teeth break. Whether the tooth needs a filling, a crown, or another customized treatment, our doctors can assess your child’s specific needs and restore his or her teeth back to health and beauty. 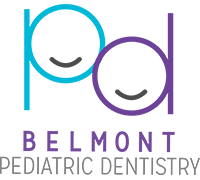 We consider the overall health care needs of each patient, including medical, dental, psychological, and social health, as we carefully create individualized treatment plans. For certain treatments we utilize Nitrous Oxide (sometimes called “laughing gas”), a safe and effective technique offered to ease your child’s experience during a dental visit. Nitrous Oxide is a blend of two gases (oxygen and nitrous oxide), and is inhaled and absorbed by the body to produce a calming effect. When breathing Nitrous Oxide, your child remains fully conscious and keeps all natural reflexes. Nitrous Oxide is non-addictive, very mild, and has a pleasant sweet scent. When the dental treatment has been completed, your child breaths 100% oxygen, flushing out the Nitrous Oxide, and leaving no lingering effects. Some children are unable to cope with new stresses or environments, making safe quality dental treatment difficult to achieve. One way to provide a safe and calmer experience for some patients is the use of conscious sedation. Conscious sedation is the use of a liquid sedative which relaxes your child without the loss of consciousness. This medicine causes sleepiness, loss of apprehension, and drowsiness. Vital signs are closely monitored during this treatment. When the treatment is completed, patients undergoing conscious sedation will need some time to recuperate and allow the effects of the medicine to wear off. General anesthesia is reserved for extremely fearful patients who also have a large amount of dental treatment needed, for very young patients with immediate dental needs, and for patients with special health care needs. General Anesthesia is a medicine-induced “sleep”. The aim of general anesthesia is to eliminate any pain or memory of a surgical procedure. 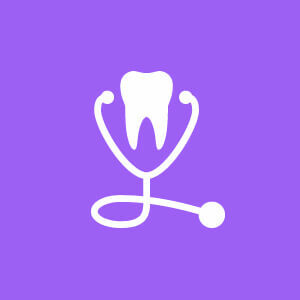 Depending upon the specific needs of each patient, dental treatment completed under general anesthesia can be done in the office (with anesthesiologist Dr. Charles Cangemi) or in a hospital setting. Some children may need special care and attention when visiting the dentist. Patients with special health care needs are those who have physical, medical, developmental, or cognitive conditions that require special consideration when receiving dental treatment. Dr. Cooke and Dr. Mvula are specially trained to treat children with special health concerns, and our team works together with parents, caregivers, and other health care providers to meet the needs and work within the limitations of our special needs patients. We will customize a plan of action to make each visit as smooth and comfortable as possible as we provide safe and quality care. Children are curious by nature, so when they tongue and lips feel funny after getting local anesthetic, they will want to chew on, touch, or play with the numbed area. This needs to be discouraged since it can irritate the area, extend the healing time, and even cause swelling and trauma. A damaging bite can occur in seconds, so you must closely observe your child until the effects wear off. Stick to liquids until sensation returns to normal. First, do not panic; most of these injuries will heal on their own, without the need for attention from the office. It may take up to two weeks for healing to be complete. Reduce swelling by applying a cold compress (avoid heat). If there is bleeding, apply gentle but firm pressure with a clean gauze or cloth. If there is still bleeding after 20 minutes and your child does not have a bleeding disorder, call us or visit your local urgent care/emergency center. Should your child suffer trauma to the teeth, mouth, or jaw, you must keep the area as clean as possible to reduce the chance of infection. A cold compress can be used to treat swelling and reduce discomfort. Monitor the teeth for darkening as this can indicate that the nerve is dying, and in addition to being a problem on its down, infection often follows. To monitor for infection, look for a bubble on the gums above or below the tooth that was injured. If you notice any of these issues, schedule an appointment as soon as possible. Should your child need to have a tooth extracted, a numbing agent will be used, leaving the spot numb for a period of time after the procedure has been completed. Before the numbing agent wears off, it is a good idea to administer a pain reliever—such as ibuprofen or acetaminophen—to avoid any unneeded discomfort. To prevent continued bleeding, try to stop your child from spitting ro sucking excessively. For two weeks after, brushing must be done carefully. Please understand that occasional bleeding is normal. For any other concerns or questions, please contact our office. Any unexpected health issues can be scary, especially when they involve your child. When it happens, you may stress over deciding if you should call us right away or not. If the problem is clearly an emergency, call us ASAP or go to your local urgent care or emergency center if we are unable to answer you immediately. If you aren’t sure, consult the guide below. my child’s baby tooth is knocked out? CALL US RIGHT AWAY! Do NOT try to put the tooth back in on your own. It is okay that they tooth came out, but we need to assess the area as soon as possible to give the best care and to check for other injuries. If the accident happens after the office has closed, use the after hours number and we will get back to you quickly. my child’s permanent (adult) tooth is knocked out? CALL US IMMEDIATELY! Find the tooth is you can and touch only the crown—the white part—and avoid the root. If the tooth is dirty, you can rinse it with cold water but not for longer than 10 seconds and do NOT use soap or scrub the tooth. The best thing to do is place it back in the socket, but it you cannot, put it in a stainer with milk and your child’s saliva. Then, come to the office immedietly, even if it is not normal business hours. my child is complaining of a toothache? Give us a call so we can schedule your visit as soon as possible. This isn’t usually an emergency, but we don’t want your child to be in pain. Once you call us, ask your child to point to the exact area that is hurting. Check it for foreign objects that could be causing pain. Loose baby teeth or erupting teeth can also cause pain. Also see if you can spot a small hole underneath the tooth, as this could be a sign of a cavity. If you notice swelling in your child’s face, use a cold compress and call us as soon as possible. Any swelling related to dental anatomy is very concerning. This could indicate an abcessed tooth or other infection, both of which need to be treated as soon as possible to avoid complications. Rinse your child’s mouth with warm water or salt water. Try to floss out and dislodge any food debris that may be impacted and causing pain. 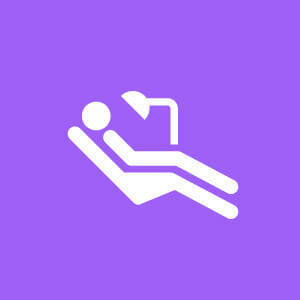 Apply a cold compress (no heat should be used) or ice wrapped in a cloth. Administer ibuprofen (Motrin, Advil) or acetaminophen (Tylenol) as needed for pain. Be sure to follow the recommended age and weight dosage guidelines printed on the bottle. Do NOT place aspirin on the gums or on the aching tooth. This can lead to serious burns. my child's tooth has been knocked loose, chipped or fractured? CALL US RIGHT AWAY! By taking immediate action, we can save the tooth, prevent infection, and even avoid extensive and costly treatments. Rinse the mouth with water and apply a cold compress before heading to the office. 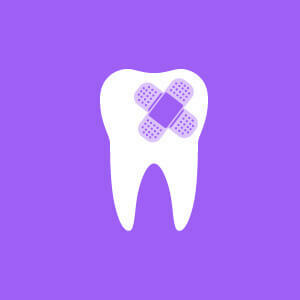 If you can locate the missing piece of the tooth, bring it with you to the dentist. my child receives a severe blow to the head or jaw fracture? CALL 911! This can be life-threatening. Do not move your child unles you are certain there has not been any damage to the spinal cord. Once your child has been treated by emergency services, give us a call so we can determine what treatment is needed on our end. Give us a call or visit our Post-Op care section if your child is experiencing dental pain that you believe is related to recent dental treatment. The best offense is defense! In this case, the best for of dental treatment is preventing the need for treatment in the first place. Here are some ways you can reduce the possibility of needing treatment. Have your child wear a mouthguard when playing sports. Always use a car seat or seat belts, depending on what is most age-appropriate. Childproof your home to reuce the chance of falls and electrical shocks as well as choking on small objects. Brush and floss every single day, twice a day. Make certain the proper brushing and flossing techniques are being used. 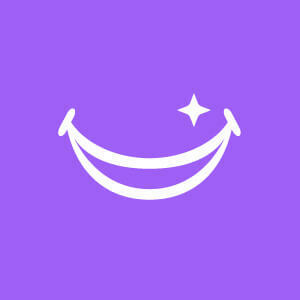 -The staff is always great!!! When you have a child that’s 4 and LOVES going to the dentist, which we all know is not always the case, you as a parent know you’re taking them to the right place with the right people.Thank you ALL for always being so awesome when we come visit!! -My son has special needs and a developmental delay. The staff was so supportive of him, explaining their every move. I really appreciated their care and positive attitude.